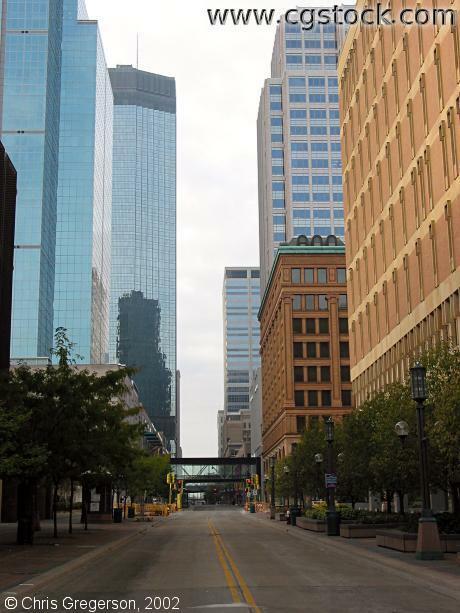 You are looking southwest down Nicollet Mall from 4th Street. The Excel Energy office building is on the far right. The IDS Tower is in the left background.